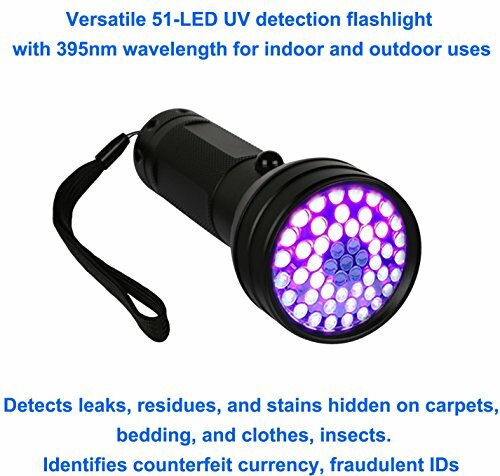 This versatile UV detection flashlight lets you use at home for detecting stains hidden on carpets, bedding, clothes, and detecting fluorescer in tissue paper, cosmetics, and use at work for detecting leaks, identifying counterfeit currency, fraudulent IDs, tickets and more. 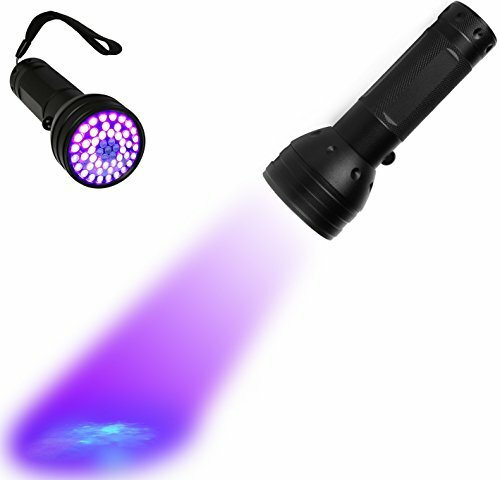 It’s also good for outdoor uses to reveal scorpions and minerals at night. 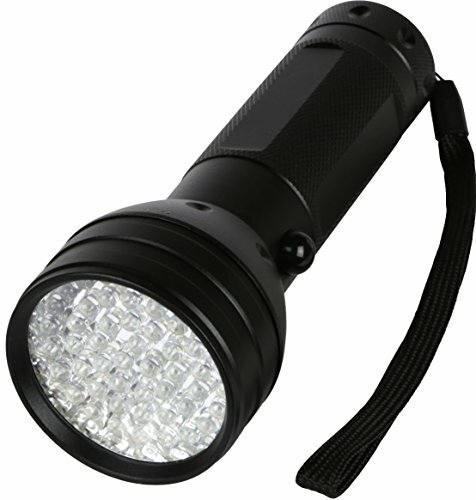 The 51 incorporated LEDs emit bright light to ensure quick and easy spotting and detecting. 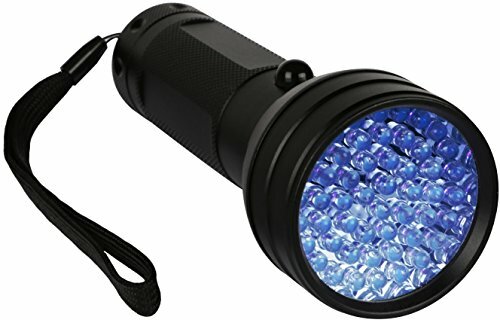 COMPACT & LIGHTWEIGHT- Versatile 51-LED UV detection flashlight with 395nm wavelength for indoor and outdoor uses. 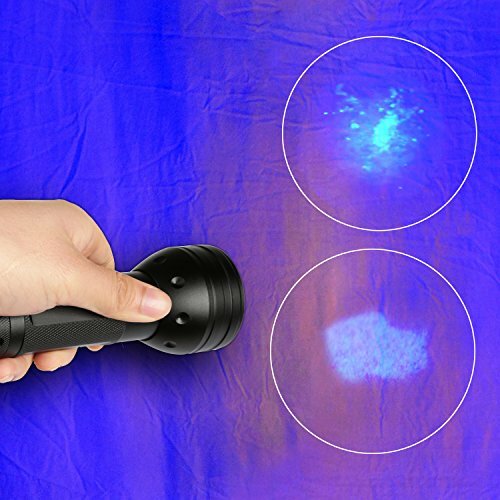 MULTI-FUNCTIONAL – Detects leaks, residues, and stains hidden on carpets, bedding, and clothes. 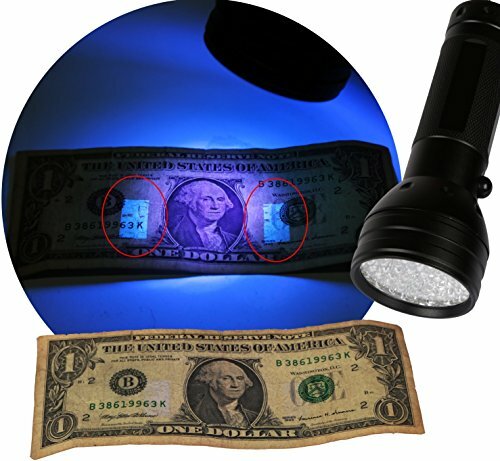 Identifies counterfeit currency, fraudulent IDs. 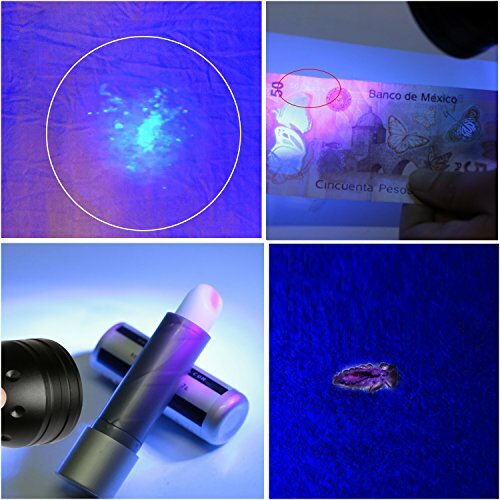 Detects fluorescer in tissue paper, cosmetics and reveals scorpions at night! EASY STORAGE – Easy to store and carry with pocketable frame and carrying loop. ALUMINUM ALLOY MATERIAL – Made of aluminum alloy & cures UV ink efficiently.